Six counties, five peaks, one amazing road trip through Northern Ireland. If this sounds like the walking challenge for you, read this article by Kieron Gribbon, author of Ireland's County High Points - A Walking Guide. In 1997, just a few months after my first hill walk, I visited the summit of Slieve Donard in the Mourne Mountains. It was there, at the highest point of County Down (and of Northern Ireland), that I challenged myself to visit every County High Point (CHP) in the whole of Ireland. At that time, I had no specific timeframe to achieve this goal. There was no rush whatsoever, and I wasn't out to set a time for others to beat. In April 2011 - fourteen years later - I completed my challenge. County High-pointing has established itself as a popular challenge for hill walkers in the UK and Ireland, but what is it that draws people to these special high places? For some, it's the satisfaction of being the 'geographically' highest person in a county. For others, it's the prospect of experiencing the longest and widest views the region has to offer. For most, however, the challenge itself is the biggest draw - often a venture to raise funds for good causes. While every CHP is a worthy goal in its own right, County High-pointers generally set themselves the challenge of completing all CHPs on a specific list. One such challenge comprises the CHPs of Northern Ireland. 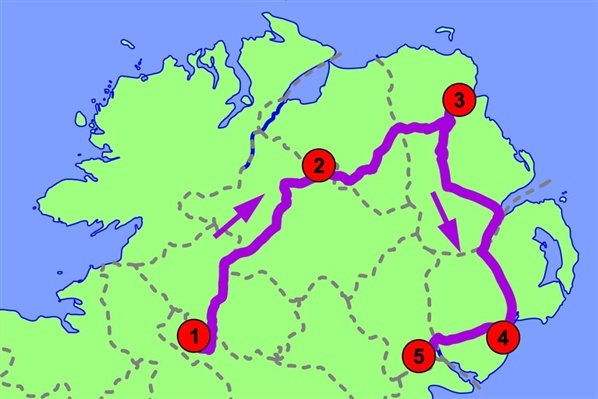 Although there are six counties in Northern Ireland, there are only five CHPs. 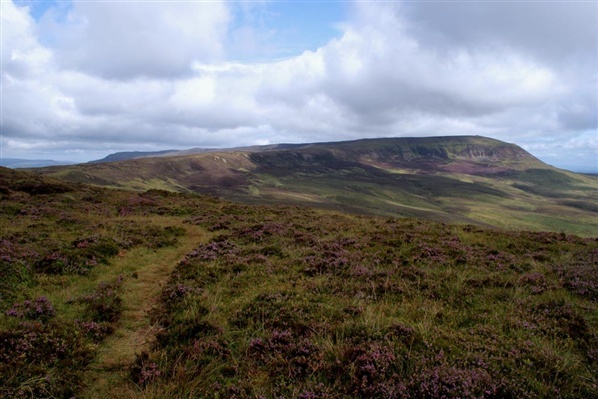 While most will plan to visit the CHPs of Northern Ireland as a series of day walks, it is not beyond the average hill walker's ability to complete the NICHP Challenge over a single weekend. 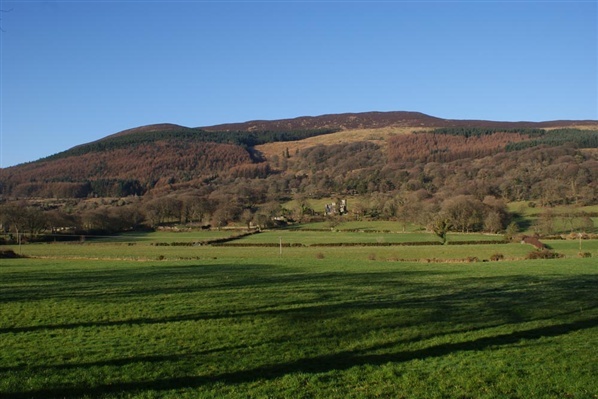 To minimise the amount of travel between CHPs, the recommended sequence is: Cuilcagh; Sawel Mountain; Trostan; Slieve Donard; and Slieve Gullion. This 665m summit in the Cuilcagh Mountains is the highest place in County Fermanagh. The CHP is clearly marked by a trig pillar over a large cairn on the Fermanagh / Cavan county boundary at grid reference H:123:280. This also marks the CHP of Cavan, and is the highest point on the NI / ROI border. From the summit of Cuilcagh, the closest higher place is a point on the upper southern slopes of Croaghgorm - a 674m peak in the Bluestack Mountains, County Donegal. This is 64km north-northwest of Cuilcagh summit. It is worth mentioning that the highest unshared summit lying entirely within County Fermanagh is that of Mullaleam at grid reference H:153:319. Its 424m summit is located in the Cuilcagh Mountains 4.9km northeast of the CHP. This 678m summit in the Sperrin Mountains is the highest place in Counties Derry & Tyrone. The CHP is clearly marked by a trig pillar over a small stone and earth cairn on the Derry / Tyrone county boundary at grid reference H:618:973. From the summit of Sawel Mountain, the closest higher place is a point on the southeastern slopes of Errigal Mountain - a 751m peak in the Derryveagh Mountains, County Donegal. This is 72.9km west-northwest of Sawel Mountain summit. The highest unshared summit lying entirely within County Derry is that of Spelhoagh at grid reference H:708:979. Its 568m summit is located 9km east of the CHP. 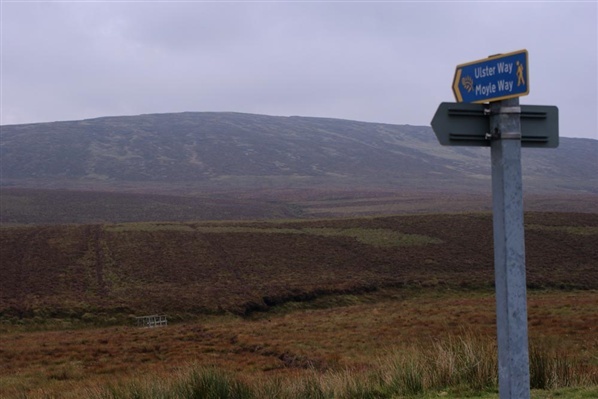 The highest unshared summit lying entirely within County Tyrone is that of Mullaghclogha at grid reference H:557:957. Its 635m summit is located 6.3km west-southwest of the CHP. Both of these are in the Sperrin Mountains. This 550m summit in the Antrim Hills is the highest place in County Antrim. The CHP is clearly marked by a trig pillar over a large stone and earth cairn at grid reference D:179:236. 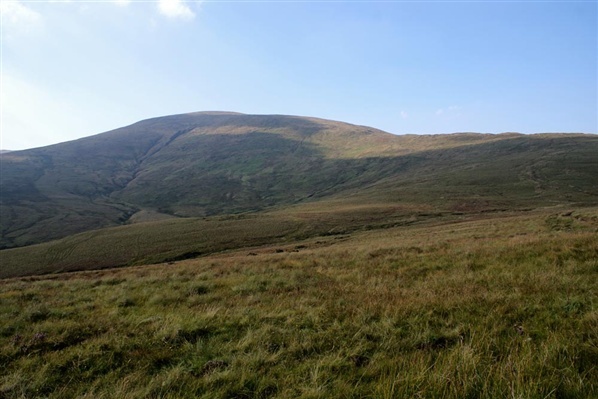 From the summit of Trostan, the closest higher place is a point on the upper northeastern slopes of Spelhoagh - a 568m peak in the Sperrin Mountains, County Derry. This is 53.7km west-southwest of Trostan summit. This summit in the Mourne Mountains is the highest place in County Down. At grid reference J:358:277, two separate locations qualify as the CHP of Down. The first of these is a trig pillar (853m) built on the roof of a stone hut which forms part of the Mourne Wall. The second location is just a few metres away where a large stone cairn (850m) marks the natural summit of Slieve Donard... For safety reasons, the cairn is the preferred option - the trig pillar may be out of reach for some. 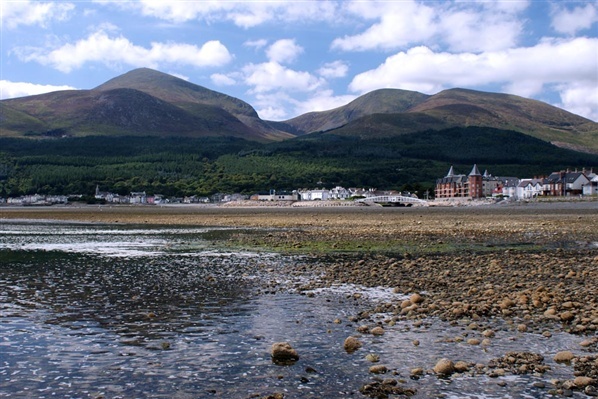 Whichever of these two CHPs you chose to visit on Slieve Donard, it also marks the highest place in Northern Ireland and in the province of Ulster. From the summit of Slieve Donard, the closest higher place is a point on the northern slopes of Lugnaquillia Mountain - a 925m peak in the Wicklow Mountains, County Wicklow. This is 140km south-southwest of Slieve Donard summit. This 573m summit in the Ring of Gullion is the highest place in County Armagh. The CHP is clearly marked by a trig pillar over a large stone cairn at grid reference J:025:203. The stone cairn is said to be the highest surviving passage grave so far discovered in Ireland. From the summit of Slieve Gullion, the closest higher place is a point on the upper northwestern slopes of Slieve Foye - a 589m peak in the Cooley Mountains, County Louth. This is 16.6km east-southeast of Slieve Gullion summit. A detailed walking route for each of these CHPs can be found in Ireland's County High Points - A Walking Guide (published by The Collins Press in 2012). This is the first-ever guidebook devoted exclusively to County High-pointing in Ireland, and explains everything you need to know as a walker before setting out on your County High Point adventures. Ireland's County High Points - A Walking Guide is the most talked about Irish walking guidebook in 2012, and is available now in good bookshops, outdoor shops, Amazon, and directly from The Collins Press. Kieron Gribbon is a published outdoor writer & photographer based in Northern Ireland. He has been a member of the Outdoor Writers & Photographers Guild since May 2010, and is the author of Ireland's County High Points - A Walking Guide (published in 2012 by The Collins Press). His writing and photography has also appeared in several outdoor magazines, including Country Walking, Trail and BBC's Countryfile. Visit www.kierongribbon.com to find out more about Kieron and his work. You can also follow him at www.facebook.com/kierongribbon and www.twitter.com/kierongribbon. 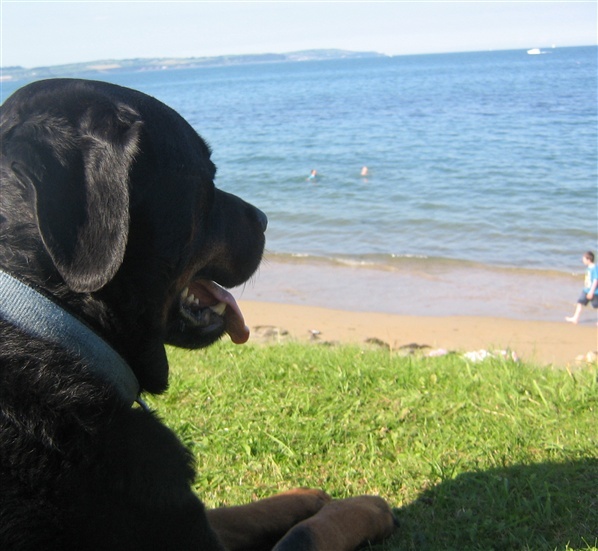 Northern Ireland’s beaches with their long stretches of soft sand to explore, endless amounts of water to wade in and the likelihood of not bumping into anyone else, really are ideal for you and your four legged friend. Not only will they provide a welcome change of scenery they are also sure to make your dog’s tail wag even more compared to the usual day to day walks in your local area. With this in mind, BeachNI.com have hand picked the best beaches in Northern Ireland which allow dogs all year round, so all you have to do is grab the lead and off you go. Ballycastle Beach, Co. Antrim - Ballycastle Beach is approximately 1.2 kilometres in length and is a popular tourist destination located on the Causeway Coastal Route. Ballyholme Beach, Co. Down - Ballyholme Beach is approximately 1.3 km in length and consists of a typical sandy beach with a rocky shore at each end. Ballywalter Beach, Co. Down - Ballywalter Beach is a long, sandy beach with great rockpools to enjoy and is never too crowded. Crawfordsburn Beach, Co. Down – Crawfordsburn Beach is approximately 0.7 kilometres in length and comprises of sand with a rocky shoreline at either end. Groomsport Beach, Co. Down – Groomsport Beach is approximately 0.5km in length and consists of sand interspersed with rocky outcrops. Helen’s Bay Beach, Co. Down – This beach is approximately 0.5km in length and features a beach front of sand with a rocky shoreline at either end. Millisle Beach, Co. Down - Millisle Beach is a popular rural beach on the Ards Peninsula and provides 150m of golden sand to explore. 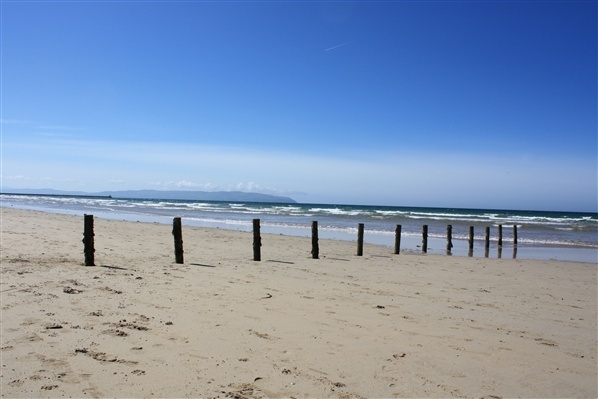 Portstewart Strand Beach, Co. Antrim - Portstewart Strand is the perfect spot to spend lazy summer days and take long walks into the sand dunes, which are a haven for wild flowers and butterflies. Waterfoot Beach, Co. Antrim - Waterfoot Beach is a sandy beach at 1km in length. It is a popular tourist destination located on the Causeway Coastal Route. There are plenty more beautiful beaches in Northern Ireland that you can enjoy with your dog, check out BeachNI.com for a comprehensive list of dog walking beaches. 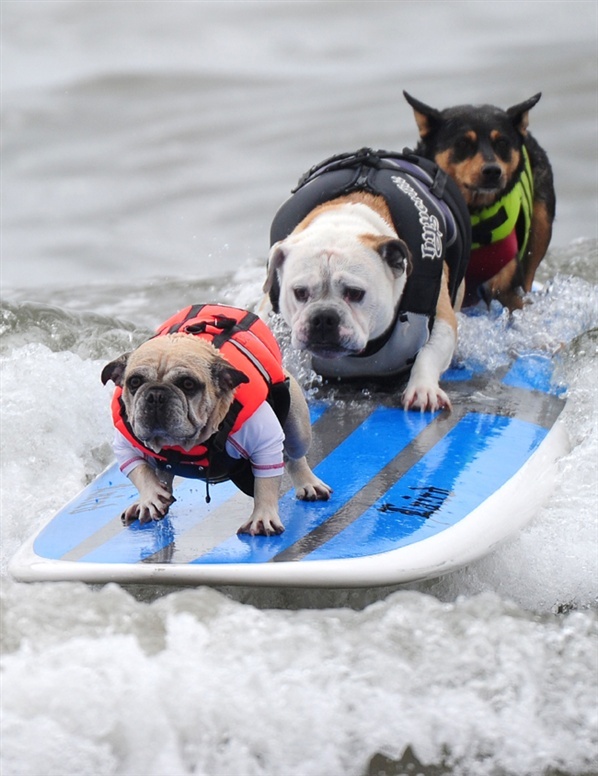 Please note that some beaches have restrictions and zones in place for dogs in the summer months so make sure to check out the website before you visit. Please be a responsible dog owner and ensure your dog is kept on a lead where appropriate. You have reached the August Bank Holiday Blog for 2012 but don't worry there is still plenty happening this year! Check out our August Bank Holiday Weekend 2015 to see what you could be getting up to over the weekend. Colebroke Estate has teamed up with Share Discovery Village for the ultimate bank holiday day out. Competing as a family (teams of 4) your mission, if you choose to accept it, is to cycle round the stunning Colebrooke Estate completing a series of physical, mental and skills based team challenges en route to collect points. With some fantastic prizes up for grabs it’s set to be an exciting and fun day out with a difference. Suitable for ages 12 and up this is a great activity to earn cool points with the kids. Supervised by experienced instructors jump off sea cliffs into the Irish Sea, scramble over rocks and enter hidden caves, all along the stunning Ballyhornan coastline. Get your adrenaline pumping by seeing who can brave the highest jumps (not obligatory!) and tremble the least! This is sure to be an unforgettable day out. With the Alive Surf School Summer camp you’re never too young to start surfing - all ages are welcome from 4 up meaning mum and dad can join in on the fun too! Each session includes a surfing lesson, all equipment, free hot showers and a drink and snack – everything you need to have a good time on the sandy shores. 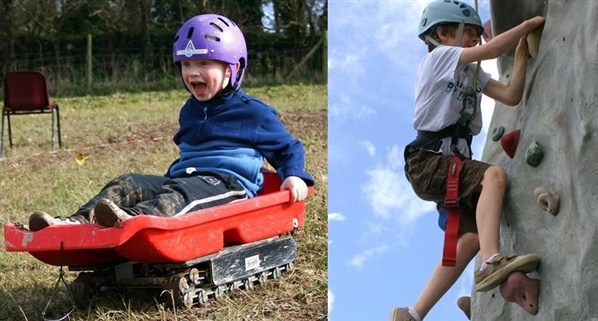 Based in Delamont Country Park, on the edge of the stunning Strangford Lough, Action Outdoors is offering 5 great activities including canoeing, kayaking, climbing, archery and grass sledging. Don’t worry if you can’t decide which one to do at such great value you’ll be able to have a go at them all! Explore the North Coast like never before whilst learning to sail your very own yacht. Leaving just around the corner form the fair in Ballycastle Marina, Causeway Coast Sailing is offering an introduction to sailing for groups of 1-3 people. Learn the basics of sailing or simply sit back, relax and enjoy the views of the scenic north coast from the water before returning to Ballycastle to enjoy the craic at the fair. Explore Enniskillen by canoe and discover the secrets of this island town. The tour is paddled at an easy pace, the canoes are very safe and the guides know the area inside out so you are guaranteed to have a great time paddling! Gather up your mates and get ready to make a splash on the River Erne. This bank holiday weekend head down to Long Line Surf School for a surf lesson on Benone Beach. Enjoy the culture and lifestyle of surfing including the essential techniques to become a surfer. Nothing beats the feeling of riding a wave into the shore so whether you’ve tried this before or it is something you always wanted to have a go at now is the perfect chance to get involved. Even if you are a ‘Norn Iron’ native the Belfast City Bike Tour is guaranteed to take you to places you never even knew existed. Hop on the cool California Cruiser bikes and peddle to over 20 points of interest as the local guides keep you entertained with interesting facts and tales of the city. Have a great August Bank Holiday Weekend 2012!